Lorenzo Mittiga, born in Rome, Italy, in 1969 is an international award winning nature photographer and professional videographer. Based in Bonaire, Netherland Antilles. Specialising in underwater, ocean, overunder photography, Lorenzo strives to depict the natural world, with its power and drama. 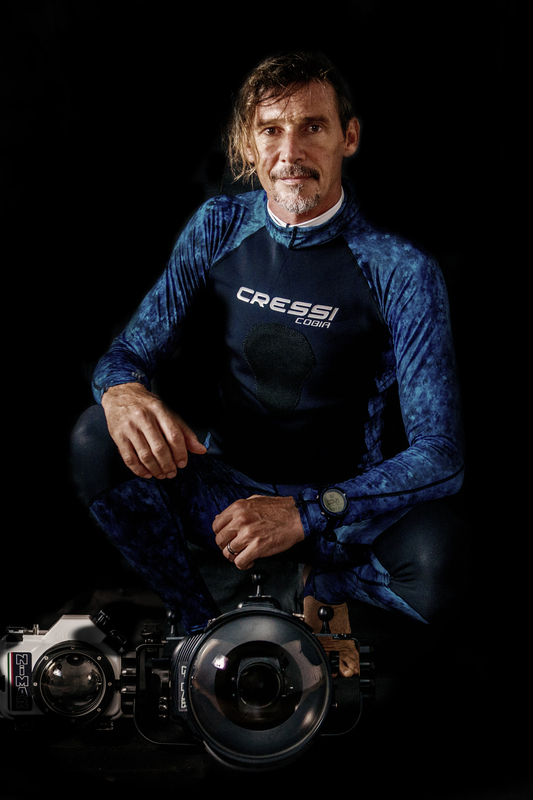 He is Official Cressi Sub Photographer since 2017 and Nimar Underwater Housings Ambassador from 2018. As a child he spent his summer vacations in Panarea, a small island of the Aeolian archipelago, north of Sicily. The colors, the scents and the deep blue sea are always an incentive for the young Lorenzo. At the age of five, thanks to his father, he begins to explore with the scuba gear, the underwater world of his “beautiful island”. 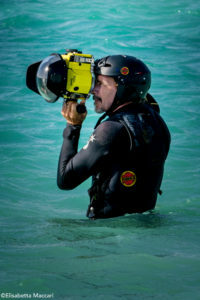 Intrigued by the great explorers, he wants more, and at fifteen receives as gift a Minolta, his first underwater camera: it is the beginning of a passion that later will result in a love for outdoor photography. In the nineties he joined a production for underwater documentaries. 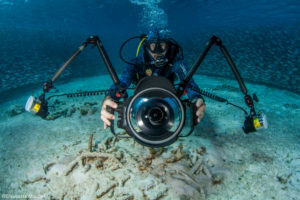 During an intense period of diving and shooting, which lasted nine years, he learned the art of filming that leads him on movie sets as an underwater cameraman. Immerse in the diving world, he wrote articles and photographs for some Italian magazines. 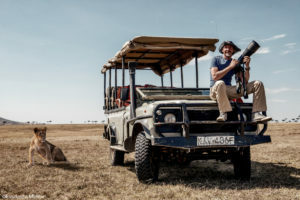 In the meantime, he graduated in Marine Biology at La Sapienza University of Rome, Italy, and began a career as a documentary filmmaker, working for Scientific Institutions and the Italian television. 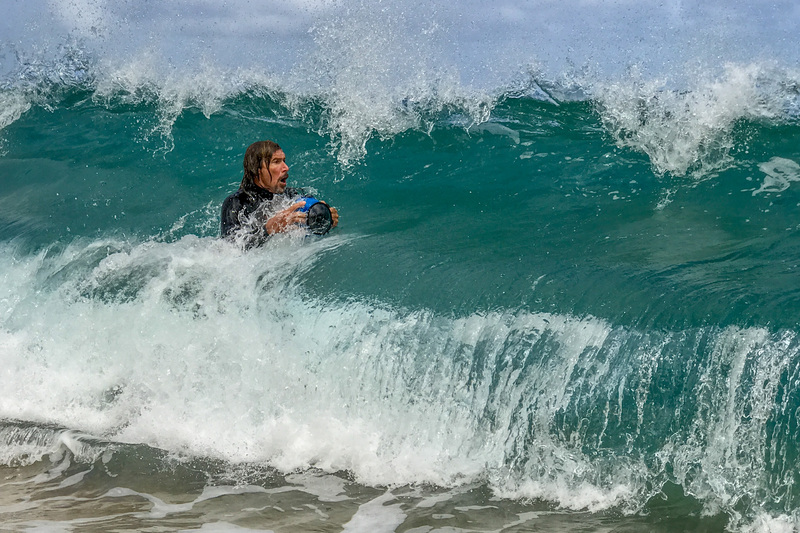 After the ”television adventure” as a documentary filmmaker and undrewater anchorman, he decided to devote himself entirely to photography opening up to new career paths and creative visions. 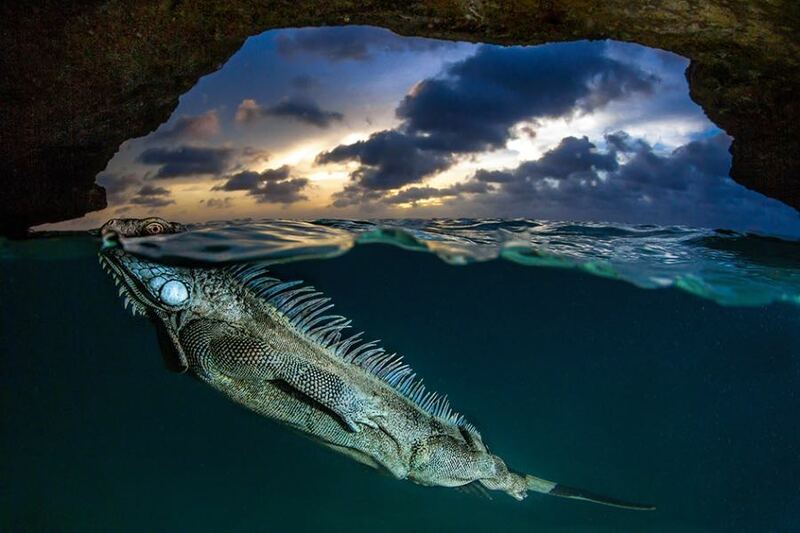 Lorenzo’s stature as photographer was indisputably confirmed receiving the award of “Winner of Natural World Category” in the 12th Smithsonian International Photo Contest in 2014 for his image “An Unexpected Underwater Encounter With a Green Iguana“, in addition his work has been also awarded from National Geographic and published on Times UK and The Telegraph UK. 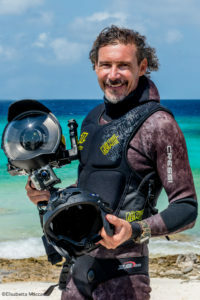 His work has widely received awards, prizes and honorable mentions in many occasions from National Geographic, Smithsonian Mag, OASIS International Photo Contest, HIPAE, Underwater World ShootOut, DPG, Underwater Photography.Com and many others, and seen or featured on magazines and newspapers as Scuba Diving, La Repubblica, Uk Divers, Il Subacqueo, Mondo Sommerso, Tierwelt, Sports Life, Bokeh, Masterclass Photo Mag, Windsurf Mag, Windnews, World of Windsurf Mag, Il Messaggero, The Mirror, Barcroft TV, Chiiz and others. 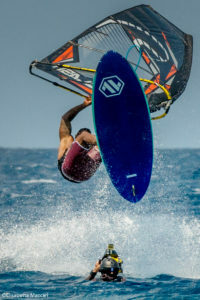 He shoots for brands as Cressi sub, Gaastra Windsurfing, Tabou Boards, NoveNove, StarFish International, Riders of the Storm, Edody, Future Fly, Point Seven. Being very strict with himself, it is extremely difficult for him to accept even the slightest flaw: his photographs are a constant search of the moment, the drama, and poetry. Lorenzo tries to express all possible emotions in that fraction of a second and freeze them forever! 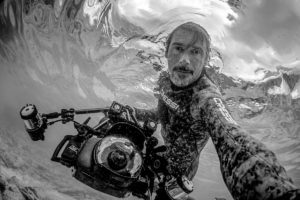 The deep and instinctive passion for the sea in all its aspects, makes his photographic production largely focused around the marine world, its creatures, its landscapes, its people and its immense evocative power.